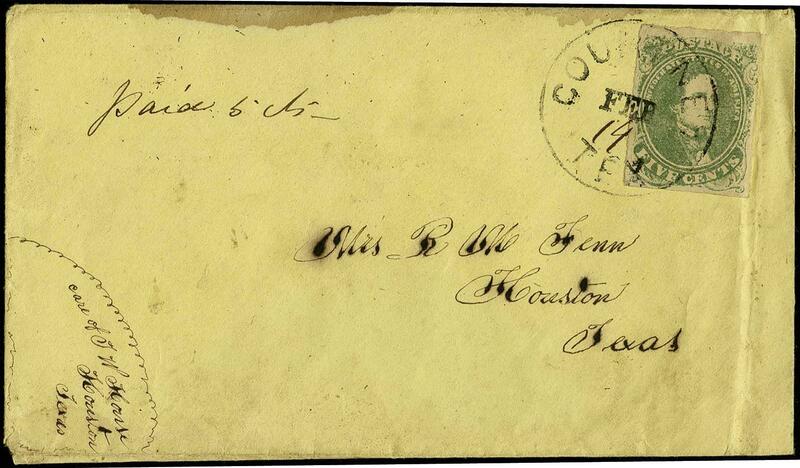 1, 1861 5c Green, Stone 1, tied on cover to Houston, Texas by Courtney, Tex. 2/14 cds, cover with light edge soiling at top, partial backflap and cover bend (in need of pressing), still Very Fine cover. (Scott $300). 6 Var. 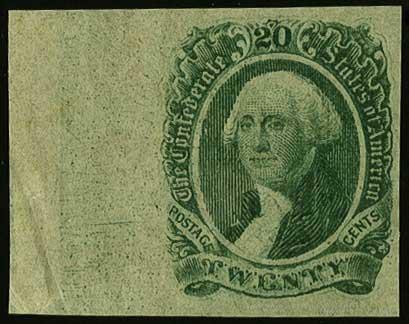 1862 10c Black, two blocks of nine, one printed on each side of 6.25"x9.5" bond paper, one block with printing flaws at left edge, unadopted value, private proof, Very Fine and unusual, ideal for specialist. 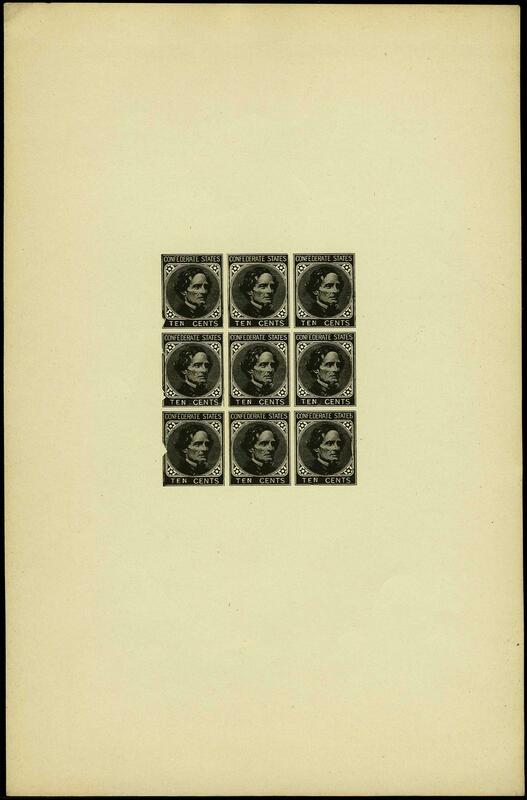 6//11, 1862-63 2c-20c Assortment, four singles and four blocks of four, all NH, blocks include: 6-7, 11-12 (note shades on 10c), singles include: 7-8, 12-13, all very fresh and Very Fine. (Scott $529 for hinged). 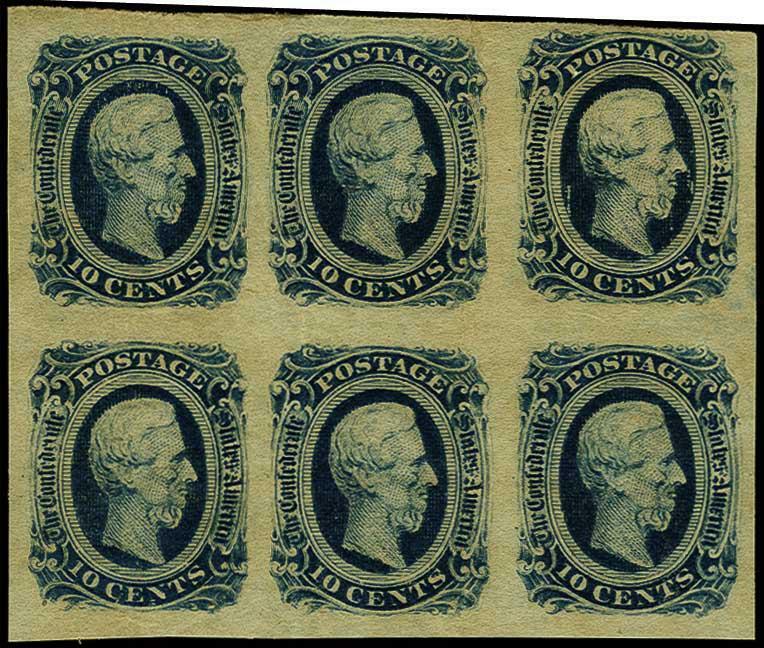 12, 1864 10c Deep blue (Keating & Ball), block of six, streaky and aged gum (characteristic to this later printing), some vertical creasing, still fresh and Very Fine block. (Scott $158).